Dr. Phil Shares: What Is the Best Time of Day to Exercise? You’ve likely heard this advice countless times in one form or another, but that doesn’t make it any less true: The best time of day to exercise is when you have the most energy and motivation — in short, when you’re most likely to do it. Sure, there are studies that extol the benefits of exercising at specific times (more on that in a bit), but as long as you’re smart about how you exercise, any kind of workout (cardio, HIIT, weightlifting, etc.) can be performed at any time of day and produce results. In fact, scheduling your workout for the time of day that works best for you will almost always produce the most dramatic results, because it increases your odds of maximizing the most important workout variable of all: exercise adherence. 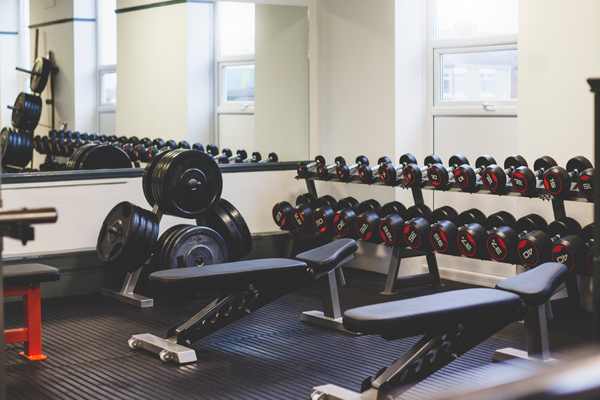 Simply put, the more consistently you work out, the more likely you are to see results. That said, if you’re flexible and don’t have a preferred workout time, you can potentially achieve your goals faster by scheduling your workouts strategically. The best time to work out is when you WILL work out. That might seem obvious, but the significance of that advice can’t be overstated. Why? Because workout consistency is the most important variable of all when it comes to achieving any fitness goal. That means that if you’re a night owl, work out at night. Morning person? Work out first thing in the morning… you get my drift. Any time you’re in the mood to really “Bring It” will work because, by far, the biggest physiological changes happen to your body when you push yourself further than you’ve pushed yourself before. There’s a reason the P90X mantra is “Bring It”: The closer you get to putting in 100 percent effort, the more you force your body into an adaptive state, which is exactly where it needs to be in order to change. While temporal “nitpicking” can help make your fitness journey easier — lifting weights in the evening might be slightly more beneficial for building strength than doing so in the morning, for example — it can also work against you if you get too wrapped up in it. Exercise and healthy eating will always trump all other advice. I’ve seen every excuse in the book, including: “I missed my optimal window for training so I skipped today’s workout.” Don’t let this happen. 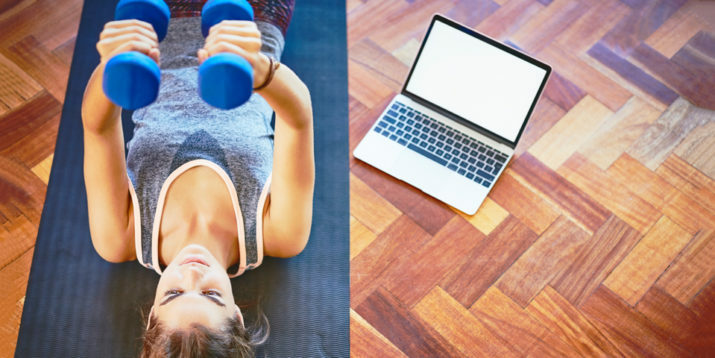 Unless you’re injured, sick, or overtrained, exercising is better than not exercising, so always schedule your workout when you have the best chance of getting it done. Your body can push itself longer and harder aerobically if you begin your workout with a full tank of muscle and liver glycogen, which is the stored form of your body’s primary fuel, glucose. Glycogen is replenished by carbohydrates, and is extinguished very quickly through exercise, brain activity, and most other tasks. This means it fluctuates throughout the day and is always highest in the hours after you digest a meal containing carbohydrates. As a result — and depending on your eating schedule — your body is probably primed for peak exercise in the late morning, afternoon, or early evening. At night, your body can store glycogen, meaning that it’s possible to wake up and train in the morning before you’ve eaten and still have enough energy to get through a workout, but that is a theoretical scenario. Most of us, especially when we’re training hard and not eating a ton, will burn through glycogen recovering from the prior day’s activities. The result is that those early morning workouts can lead to something called “the bonk,” which is what happens when your body runs out of glycogen. Essentially, you lose the ability to push your aerobic envelope, and you feel like you’ve hit a wall. Bonking is not one of those “good pain” times, but it’s inevitable that it will happen to you at some point. When it does, don’t try to push through. Instead, cut your losses and get on the recovery program by eating, resting, and then reevaluating your eating schedule and/or choice of workout times. If exercising when your glycogen stores are low (e.g., in the morning) is the only time of day available, you can fix the situation nutritionally. Eat a half (or even a whole) banana, or have a cup of watered down juice before you work out. That will boost the levels of glucose in your blood, so you won’t have to tap into your glycogen stores as much. Alternatively, you can try to top off those stores by adding an extra serving of complex carbohydrates to your evening meal. If neither strategy works (you’ll know if it doesn’t — bonking isn’t subtle), it means you’re on a nutritional edge and you aren’t eating enough total daily calories to recover from your workouts. It’s time to reevaluate your daily caloric intake. In the morning, before you’ve eaten, your body is more likely to tap fat stores for energy during aerobic workouts, and you can train your body to become more efficient at doing so, which is cool. You’re also “burning fat,” which sounds even cooler. While fantastic in theory, it’s not so fun in practice if you force your body into a situation where you bonk. You won’t bonk, however, unless you’re training at a very high intensity or running or cycling for a very long distance. This means low-intensity workouts can have added benefits if done in the morning on an empty stomach. This is why in programs like P90X Doubles, we scheduled the lowest-intensity workout of the day for the morning. In the case of P90X Doubles, however, that lower-intensity morning workout is a strength session, and thus requires additional nutritional steps to optimize recovery. The reason is that your body doesn’t store protein, so if you strength train before you “breakfast,” you’ll put your body into a catabolic (breakdown) state, which, as you might imagine, is less than optimal for building muscle. Fortunately, it’s easy to reverse the situation: have a protein shake, like Beachbody Performance Recover, or a protein-rich meal within a half hour of completing your workout. Here are two more weight-loss advantages of an AM workout: It can decrease your appetite and inspire you to be more physically active throughout the day, according to a study at Brigham Young University in Utah. What’s more, sweating early in the day can improve the duration and quality of your sleep later on, according to researchers at Appalachian State University. That’s important because adequate sleep (more than 8 hours a night) is associated with greater fat loss if you’re trying to slim down. Your body temperature drops while you sleep, which is one reason you might wake up stiff and lacking flexibility. The discs between your vertebrae also fill with fluid as you slumber, making them more susceptible to injury first thing in the morning. Either way, it’s best to wait at least an hour after waking before you start pumping iron or doing exercises that require you to flex your spine (e.g., crunches), especially if you suffer from back pain. And if you can wait to work out until later in the day, all the better. Here’s why: Your body temperature climbs throughout the day, peaking between 4:00 and 6:00 PM. As it rises, so too does muscle strength and power, according to a study in the Scandinavian Journal of Medicine & Science in Sports. What’s more, Scottish researchers report that exercise-induced increases in testosterone production are greatest in the late afternoon and early evening. In sum, if you’re looking to maximize strength gains, it’s best to schedule your workout for after work, or even during your lunch hour, rather than trying to cram it in before you leave for the office. But there’s always a “but,” and in this case, it has to do with a principle known as “temporal specificity,” which states that your body will adapt to be strongest at the time of day during which you normally train. So while you might initially benefit from late afternoon strength workouts, you’re better off scheduling those workouts for (you guessed it) whenever they’re most convenient for you. Is It OK to Exercise Before Bed? Unless it is really the only time you will work out or the only time you feel the best, you should probably avoid it. The reason is that working out directly before bed can affect your sleep. Most people have a hard time getting to sleep after a workout because exercise can throw off your melatonin, the hormone that regulates sleep, among other things. This isn’t ideal because sleep is very important for recovery. It’s when your body naturally produces most of its own performance-enhancing drugs in the form of hormones. If possible, eliminate anything that hurts your ability to sleep. Exercise also requires a lot of nutrients, which are further depleted at night. If you’re on a strict diet, perhaps trying to lose weight, you run further risk by training and then not eating to recover from the workout prior to bed. 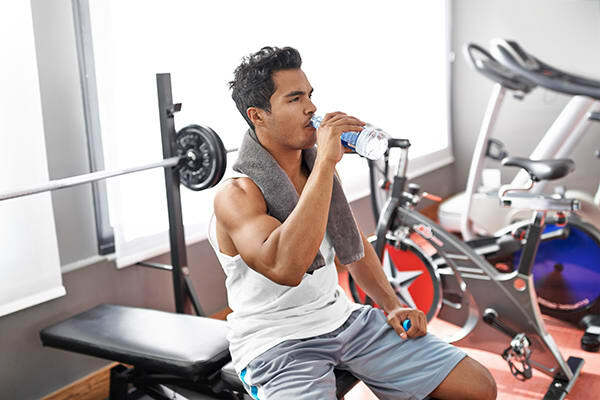 If you’re on a low-calorie diet and plan to train hard at night, you should follow your workout with a nutritional recovery strategy, such as Beachbody Performance Recharge or a small meal before going to sleep. The short answer: yes. But you need to be strategic about it. “If your focus is weightlifting, then you should use cardio as a form of ‘active recovery,’” says Thieme. To get the most accurate and objective measure of progress, Kelley suggests recording your workouts and tracking the numbers. “If you can increase the weight you lift by five percent—or the number of reps you perform at the same weight by two reps—each week (or two), you know you are increasing strength in that specific move and group of muscles,” he explains. Other signs your weightlifting program is working include increased appetite and physical changes like fat loss, increases in muscle size, and greater muscle definition. You can track this data by recording it in a journal or taking before and after pictures. 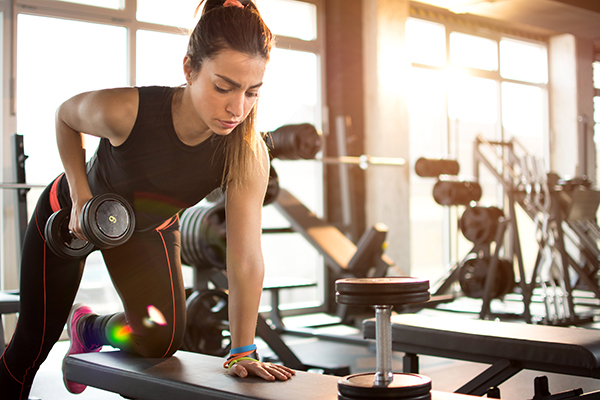 If you don’t see signs of progress within four to six weeks of starting your weightlifting program, you may need to reassess your workout routine to see what’s going wrong. Our bodies are designed with a blueprint made many hundreds of years ago. Our lifestyles and environment have changed a lot since then, but our bodies have not. We need whole, real foods. This means preparing ahead, especially things like our complex carbohydrates. We need to look to root vegetables more and breads or packaged/fast food less for our carbohydrate intake. A 10% increase in the consumption of ultra-processed food leads to a 12% increase in the risk of cancer. Carbohydrates provide energy to think, move and build our body. Focus on slow carbs, not low carbs. This means selecting carbohydrate foods rich in fibre, a critical nutrient that slows the release of sugars into our bloodstream and helps us eliminate waste. Skip the gluten– research is clear is affects most all of us to one extent or another. It’s not always about the intestinal tract – gluten can affect skin, brain and muscles too. Good sources of carbohydrate & fibre: Hummus/beans/lentils, sweet potato, yucca, yam, quinoa, coconut, teff, psyllium, flax, wild and brown rice, squash, celery, gluten free oats, and whole fruits like berries, apples and pears. Preparing roasted vegetables is one of my favourite ways to get my good carbs into my daily routine. I’ll do a tray like the above about 2x a week. Then I can place the veggies in a pyrex container and pull a few from it and chop up to top a salad or warm up to have with fresh steamed greens and my pick of protein. It’s really quiet easy- wash them up, chop them how you’d like and toss in a little olive oil. Throw a sheet of parchment paper (I buy mine at Costco) on the cookie tray for easy clean up. Place the veggies on the tray and put some salt and pepper on them. Sometimes I will add Italian spice, rosemary or maybe some fennel seeds. Convect bake at 350F for 30-40 minutes (depends on your oven and how much you liked your veggies cooked). Pretty cool that if you eat the cooked and cooled potatoes – white or sweet – you will not affect your blood sugar the same as if they are hot. This is because a potato cooked and cooled forms a resistant starch which slows the stream of sugars into the system. The resistant starch is fantastic food (prebiotic) for the good bacteria in your gastrointestinal tract too! So even more reasons to chop and put on some greens and take for lunch. Also the asparagus is good prebiotic as well.